. 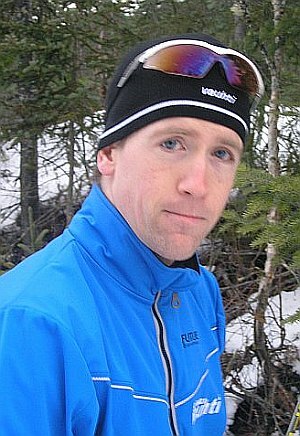 : Tom McCarthy :: Ski XCOttawa.ca :: Skiing in Ottawa and Gatineau Park :. Tom is the team sprinter - by which we mean, he's too slow and lacks endurance to compete seriously in any race over a couple of kilometres. So he's decided to pretend that he can sprint fast, and that way he doesn't have to do intervals with the rest of the team and get shown up for the pretender that he really is. Well, he did do ok in 2006 - a 10th place at National Championships, a win at the Quebec Sprint Championships, and a win at the Keskinada Sprints - so maybe he's not that bad. Tom has only become a sprinter in the last year, after his lack of training volume has caught up with him. Tom finished a Master's degree at Simon Fraser University in 2005, and took a job with the federal government, in the Accelerated Economist Training Program. He's finished that program in July 2007, and he's not sure what'll happen to him after that - but he sure hopes it involves skiing, even if it's mostly short distances. Other Pursuits: Pursuits? I LOVE pursuits! !